I started doing Pilates-themed parties because they are a healthy and unusual way to bring people together. Fitness parties have been around for a long time and are not a new craze or trend, they are definitely here to stay! While keeping the fun and fitness in the party, what’s different is the emphasis on burning calories and a healthy food concept. Many people agree that there is no better way to spend a birthday or celebrate an occasion than doing Pilates-Themed Party and having fun. I have lived in the world of health and fitness, teaching every form of exercise and have been a certified sports nutritionist for decades; I practice what I preach and my body is my business card. Because of this, I attract a certain type of following with a high retention rate. My clients who wouldn’t even consider eating a small taste of birthday cake, that’s correct, not at all! For as long as I can remember, on my birthday and Mother’s Day, I run 10 miles. This is my present that I give to myself, the time and energy to honor my body. At this point, I have lost count of the number of times I have said, “Pilates is a lifestyle! Mat is how I breathe and how I make sense of the world around me.” I rejoice in celebrating a special occasion in my life by burning calories and eating a healthy dinner. No cake for me!!! I am fortunate to own a Pilates studio, where the average client comes to me two to three times a week, and a good number come four days a week. The emphasis of my business is small group classes. My classes are predictable and usually the same people come the same day and time. I am known for giving maximum attention to all, at minimum cost. Who has standing appointments for three or more years? That’s me, I do and that’s why! I even sell gripper socks at cost price, which is greatly appreciated. There is a high level of interaction and students generally they talk to one another but there is rarely enough time to do this for more than a minute or two, until class starts. Lots of times I see clients standing outside the door for 10 minutes after class is over, so why not branch out to this venue? The bonding that is achieved by this interaction keeps clients coming back year after year. Once you open your mind and grasp the idea of Pilates-Themed Parties, every component can be changed to meet the needs, choice of the party theme, and the population attending the party. 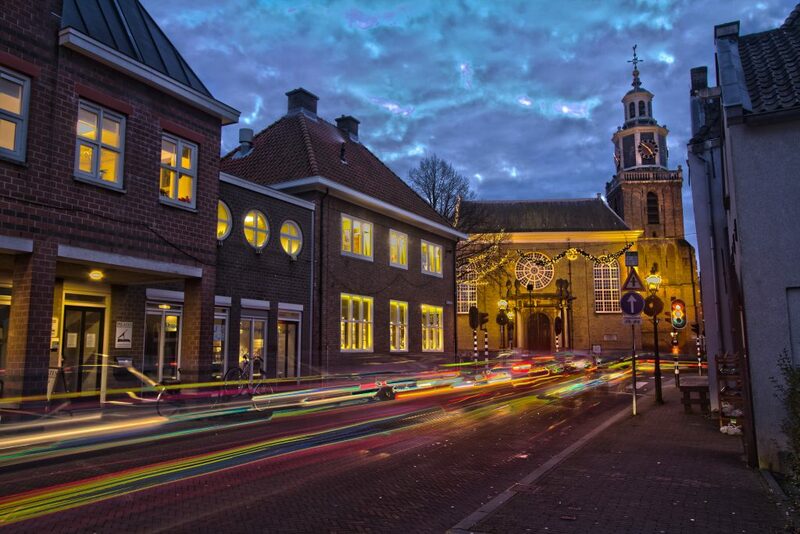 It get’s better and even more fun when you explore the long list of exercise themes and endless venues. Here’s where you need to take thought. Tee Shirts? What will they say? Will the invitations be sent by email or use something like postmark.com? How much time is allotted for the party? How many participants have no experience with Pilates? What is the exercise level of the attendees? What do you do when you have mixed levels? What much is the budget and who is paying? Can the party be in my studio or is another venue chosen? Here are some examples of the preliminarily details. After that, it’s time to start off with some of the Pilates exercises! Always, have your guests sign a waiver. Ask if anyone has any health/body injuries. I always start at the basic level and modify up from there. I keep it safe! 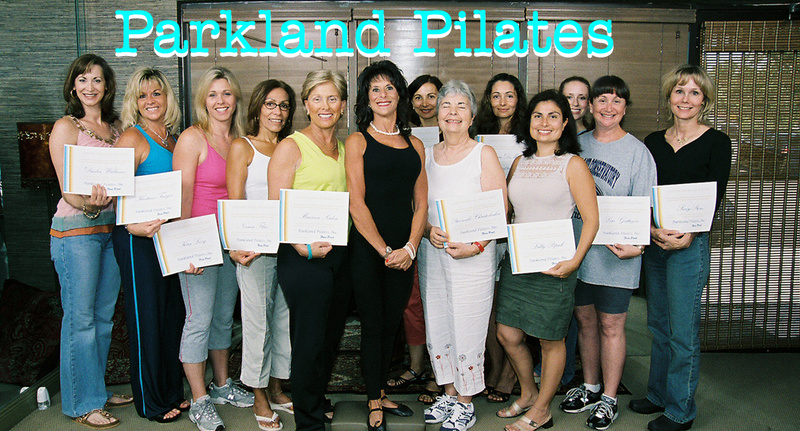 Depending upon the size of the group and if everyone has some knowledge of Pilates. I teach multiple levels within the group when possible. I remind myself that this is a party, a very safe and fun party. If I’ve never seen a number of participants before this party, I let them get a sense of what Pilates is like by having me demonstrate something like the Ab Series and then let them have a turn at trying it. Remember it’s not about participants getting the toughest Pilates workout of their life. It’s a party! Keep it easy and fun. Always think quickly on your feet and stay aware. After the Pilates portion, I turn it up a bit and add some more fun! I keep everyone moving and burning some calories with the accent on merriment! March in place, arms up and down. Keep it easy and fun. Have it be something you know how to teach right off the bat, or have someone else do this portion of the party. Get the heart rate up and the happy energy flowing. Think of this time as fitness entertainment, be social & laugh. My fitness background allows me to start the cardio portion of the party with a 10-minute grapevine lateral-add-on. You probably said “what? ?” to yourself! It’s pretty predictable that half the people will go left and the other half will go right and gently bump in to each other. This will start the cheerful laughter and playful mindset. Clients, who have done a party with me before, actually request this. We laughingly call this “Dancing For Dummies” and it all comes without a hangover or regretful calories the next day! Have a couple of demos/with easy to follow moves. I was fortunate to have clients like Suzy Stone of Hip Hop Kidz, break down a funky and easy dance routine and Miriam Zama of Belly Dance By Miriam do an easy demo so everyone can follow too and try Belly Dance. How about some Zumba? I have a client who teaches that too. I even have a personal trainer who comes to class. Light hand weights to do a bicep curl? Of course yes, and it has to be the most boring exercise ever. That’s when I get to spice it up with a joke. Not everyone can tell a joke, don’t worry if this isn’t your thing. I just happen to be a one-woman show, pure entertainment! Here come the games and competition. Now is the time for a lively challenge! Now is the time for some contests! That means doing things like hula-hoop, plank and triceps push-ups competitions. 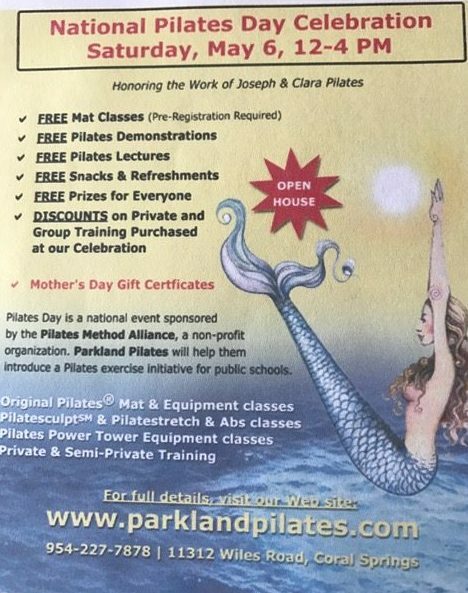 I’m sure you get the picture, that’s why this is called a Pilates-Themed Party, not Uncle Joe’s Pilates Class! Of course there is lots of Pilates in the class, that’s the basis of the party. It’s nice when it doesn’t feel like a workout; you’re still getting the health benefits, but having fun and games as well. This just depends on the level of the participants, what is being celebrated, and a number of other factors. It’s so much fun when your regular group of students choose to do a party. It’s price fixed per person. They are all at the same level, more or less, so we can move quickly through the Pilates exercises. Yes, it’s lots of fun with springs and things like magic circles, balls, bands and light hand weights, all to upbeat music! Water bottles, grip socks, pedometers, elastic bands and tubing, you get the idea, it’s all about budget! Specialty water, smoothies and home made energy balls in a plastic box with toothpicks are the usual favorites. Plastic cups of pre-filled chunks of fresh fruit (with plastic forks) and also cups of veggie sticks. Nothing sticky or makes crumbs. The studio must remain clean!!! Yes I did say Pilates for charity!! “Go Read for Women’s Heart Disease” and “Pilates For Pink” are two regular events I support and I hold it during a regular class time or on a Saturday or Sunday. Most time always comes with a tee shirt, water and energy bars. 100% goes to charity. It’s not credit card or cash; participants pay by check made out to the charity. The participant’s names are printed on a certificate of appreciation. A group photo is taken. I have been fortunate to have local magazines publish the pictures with the participant’s names printed below it. Design your own party if not listed above. Share a special hour with someone or a group you love. The sky’s the limit, so if you can dream it, I can do it. Here are some more parties I have done. Couples pre-dinner on a Friday evening. Invite your girlfriends from work. I hope you enjoyed reading this article. I know that I had a blast writing about Pilates-Themed Parties. Awesome Post! I want to join this?